Regular listeners to my Fashion + Home radio show on 88.9FM will know how much I love a little EXFOLIATION. Well, I have been using the new Sugar Scrub range from Soda & Co and it’s DIVINE. You may notice that after being cooped up in winter clothes for months on end, especially here in the Adelaide Hills, your skin will need some new season rejuvenation. Maybe you have noticed little bumps or pimples on your skin, especially around the thighs and upper arms. I had a big night out on Saturday so during my prep I hopped in the shower with my hair mask on and dampened my skin. 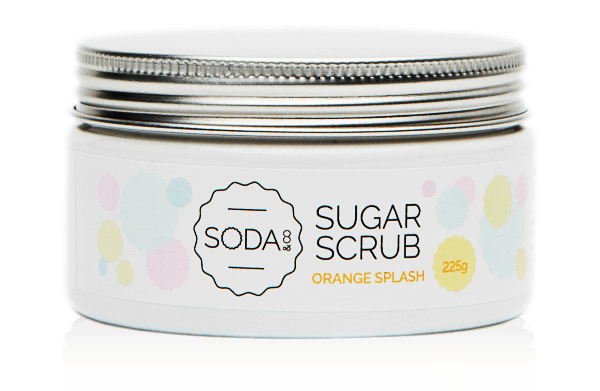 I then switched off the water stream and started using Soda & Co’s Sugar Scrub …it was the Orange Splash and it smelt WONDERFUL! So the shower filled up with a delicious scent and I sugar scrubbed my entire body – a little goes a long way. I then just showered as usual and made sure the sugar scrub was washed off before I got out of the shower. TOO EASY. These products also have mineral oils so my skin was smooth AND with a light oil coverage. My skin was DIVINE…soft, smooth and silky…it felt like I’d had a specialist spa exfoliating treatment. I then lightly massaged in some moisturizer…but I actually didn’t need that much. My skin still feels amazing….smooth….soft…energized. I LOVE this new product and it comes in three delicious scents – Orange Splash, Mint Burst, and Pink Lemonade. With a combination of vitamins A, C and E Sugar Scrub increases elasticity, tones the skin and soothes redness, dryness and scarring. I’m sold. 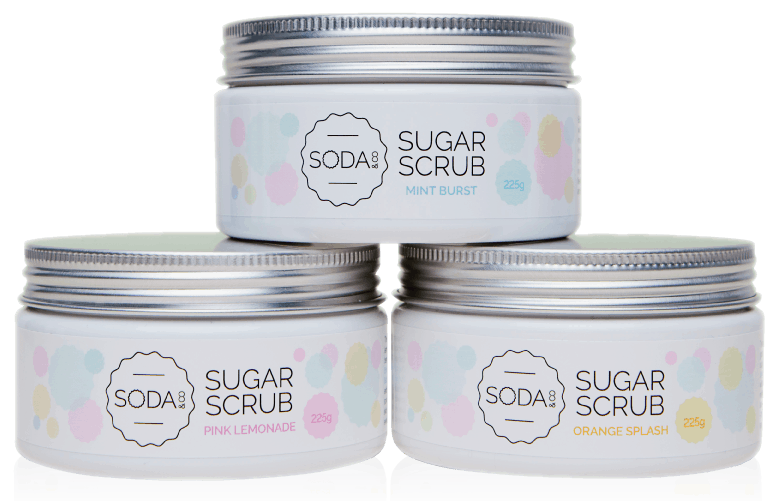 Check out Sugar Scrub from Soda & Co, 100% Australian owned and made, vegan friendly, cruelty free. What’s not to love. Do you exfoliate? What’s you ritual? Do you make your own sugar scrub or buy one? What’s your favourite? You’ll also like to read about moisturizing in the shower, five common beauty woes fixed naturally, and 12 luxury bathrooms.